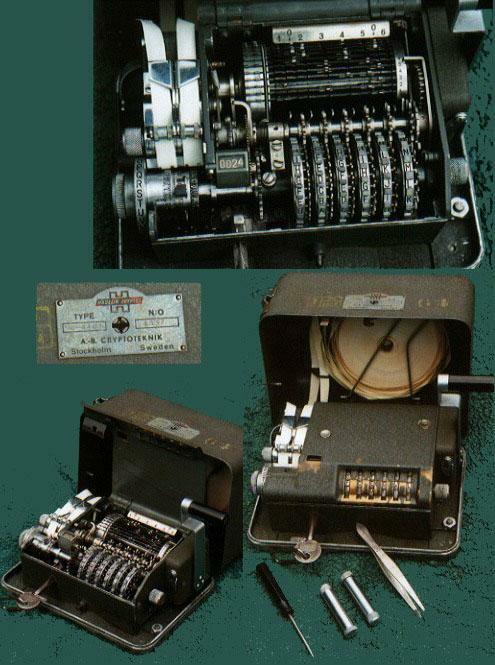 Developed in 1945, the C-446 derived its roots from the M-209 cipher machine. 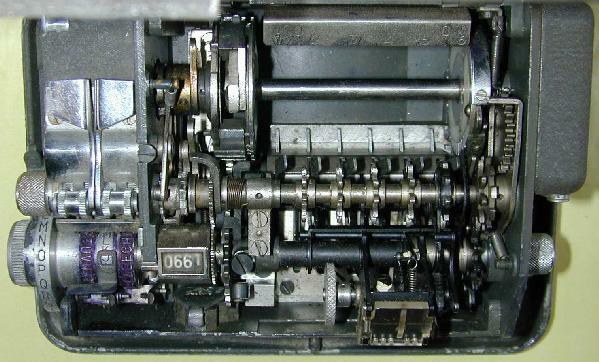 The C446 and C446A were cipher wheel versions of the machine but the differences between these are not known at this time. 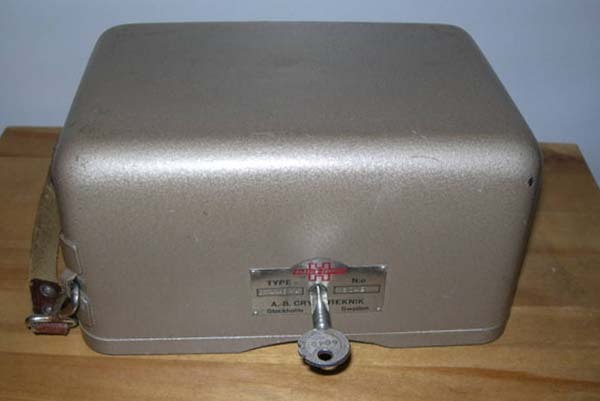 A later variant of the device used a random character paper tape to encrypt the plain text instead of cipher wheels. 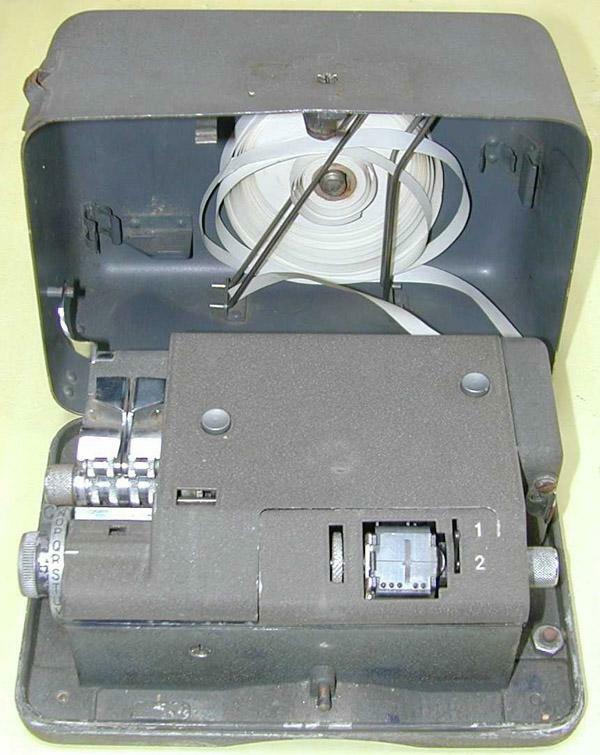 At this time the designator for the paper tape version is believed to be (RT) based on German documents which refer to the random tape version of the CX-52 as the CX-52(RT). In Swiss documentation written in French, the designator CX-52 R/T was used. This same RT designator will be used in this web document unless proven otherwise. Paul Reuvers relates his experiences with the C-446. "I've seen several of the paper-tape variants of this device none of which bears any identification plate so I'm uncertain about the correct designation. 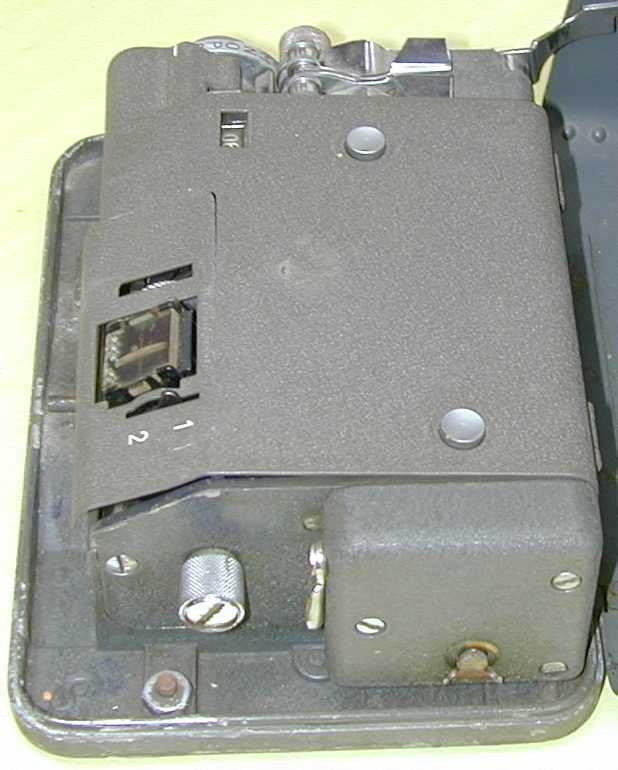 All the paper tape versions (RT's) that I've seen have one or more defects, such as missing 'fingers' from the 'cage', broken-off handles, forced entry locks, etc. Most of the fingers in my machines are missing and the mechanisms were seized when I acquired them. With some work I was able to free-up the mechanisms. Most of the C-446's were locked when they were sold and (as far as I know) they all came without the keys. 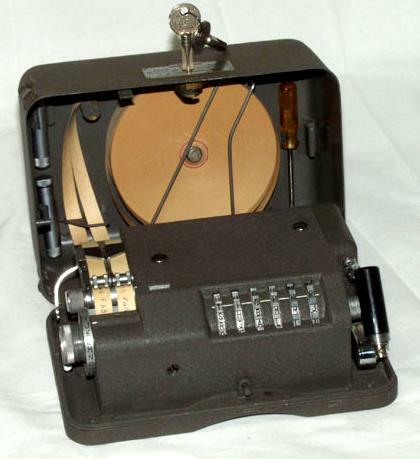 Luckily, the keys of my C-446A cipher wheel version worked on the paper tape model so I was able to get the lid open without damaging the unit. I've tried my keys on someone else's RT unit, but to no avail. Apparently they all had a unique set of keys. 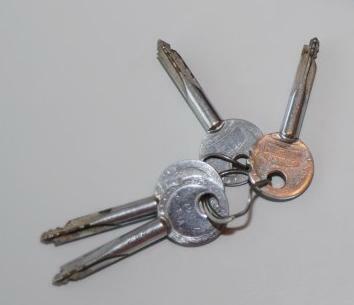 Two different keys are supplied with the machine (1) operator's key and (2) officer's key plus a duplicate of each. Key #1 has a single notch cut out at the edge of the key while Key #2 has two such notches. 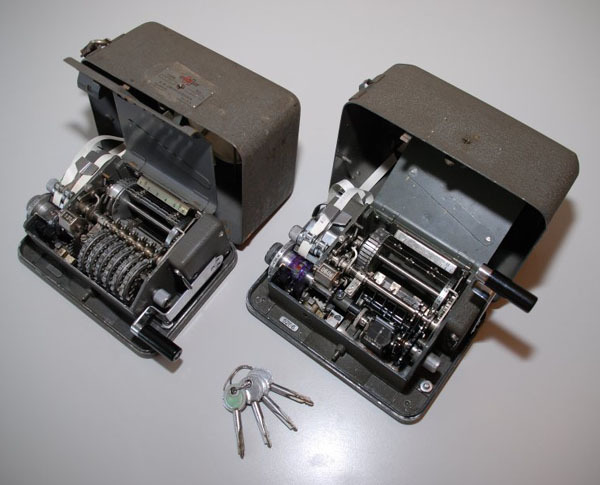 Key #1 can only be used to open the main cover, whilst Key #2 can be used to open both the external cover and the lid which gives access to the mechanics of the machine". Klaus Kopacz comments on the de-militarization process. " For the most part, the bars of the drums along with identification nameplates were removed in order to demilitarize (sanitize) the machines. Now it's clear that the bars are necessary like the ones used in the CX52 (RT). For building the displacement of the print drum, 25 bars are necessary. One special bar with an advance notch for the tape reader must also be installed. The bars are made of hardened steel and the ends are honed very precise to fit exact in the gaps of the drum. These parts are not easy to copy with common tools". A montage of C-446A images. All photos courtesy John Alexander, G7GCK Leicester, England. E-mail: See Museum Info section. A C-446A (RT) variant was also developed in 1945. 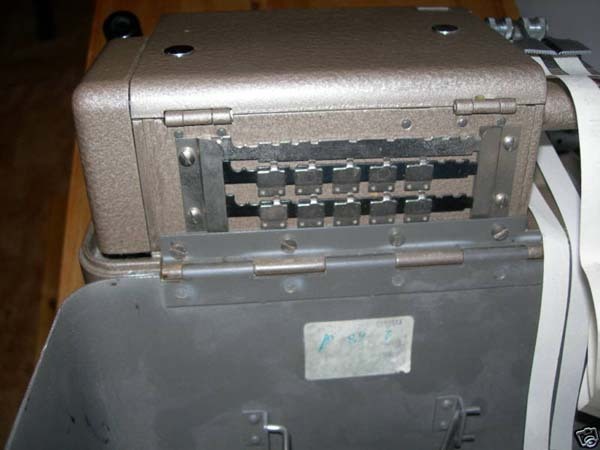 It used a random character key tape with a 5-bit (Baudot code) reader in place of the cipher wheels as seen on the original model and similar Hagelin machines. 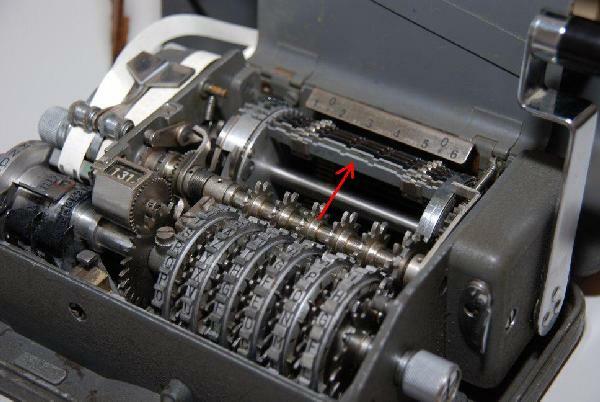 According to Snyder's Treasures...."Normally the machine is cycled by a crank on the right side but the above example is missing the crank and steppers, as it was apparently modified to fit into an automated keyboard, similar to the configuration used by the CX-52. 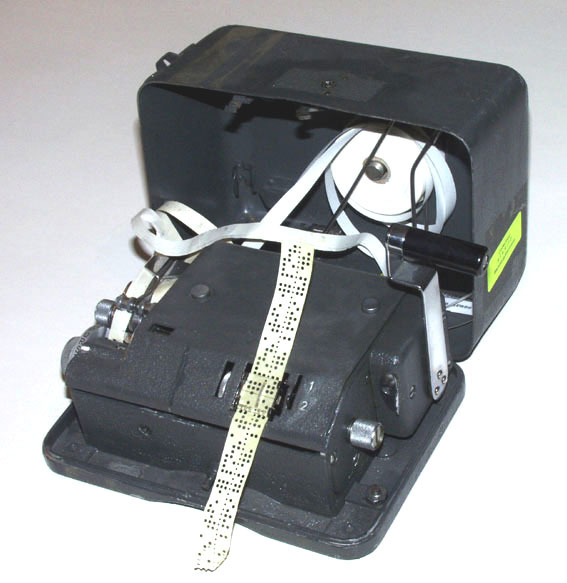 Sensing levers would engage the steppers based on the character on the paper tape, advancing the print wheel rotor, and generating the clear and cipher text on two separate paper tapes passing through the print mechanism at the left. 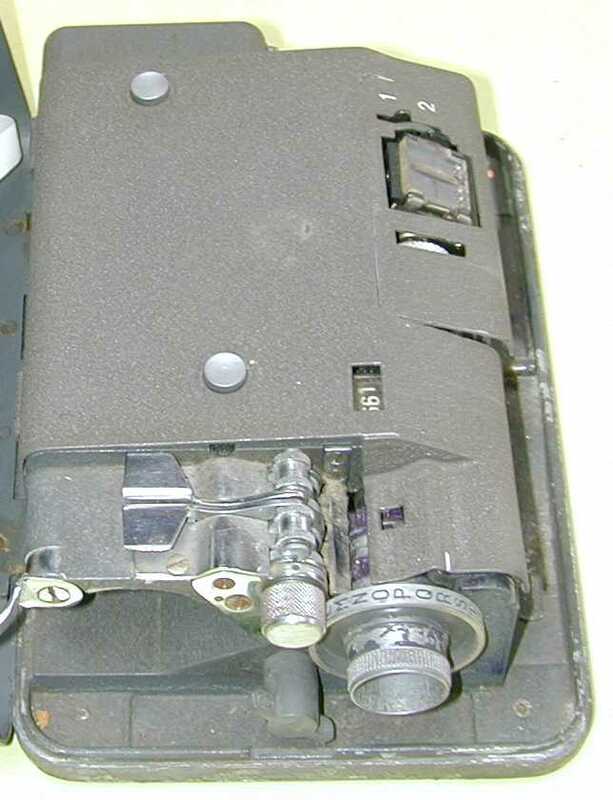 The knob at the right would be advanced to read the next character on the tape and the process repeated". Mark Sims offers his advice for C446 ink rollers. 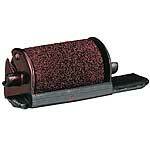 "Another useful bit of info for M-209, CX-52, C-446 and BC-543 owners is a good source of ink rollers for the machines. Most office supply stores carry the NuKote NR-40P ink roller for calculators. It is also numbered EA770R, CP-16, or IR-40 by other manufacturers. It is used by over 100 different calculators. The ink element is the exact inside and outside diameter as the M209/CX52/BC543 ink roller, but about 1/8" longer. 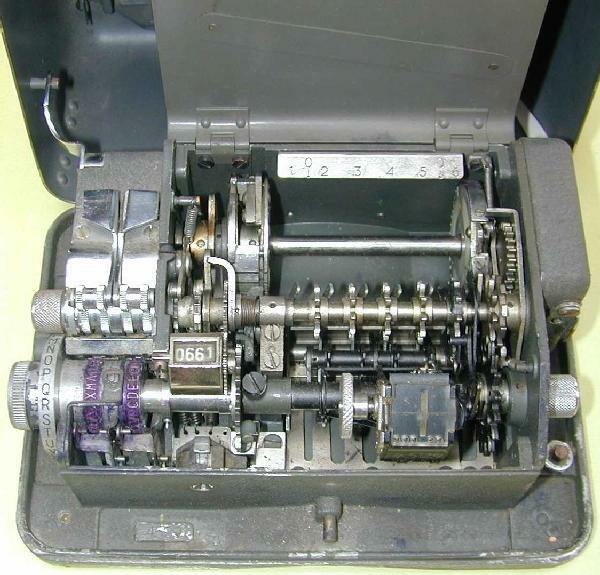 It is very easy to modify the calculator roller for use with the cipher machines. Wear gloves, it's incredibly messy and the roller gushes ink at the slightest provocation. First snap the roller/axle out of the "U" shaped clip. Next take the roller off of the axle. I have found it easiest and cleanest to cut the end of the axle off first. I use a pair of diagonal wire cutters. Next trim the roller with a razor blade or surgical scissors to 3/8" long. I have found it easiest to get a clean square cut with the surgical scissors. Finally the roller needs the small brass axle from a real roller or you can cut one off of a piece of 3/32" O.D. brass tubing from a hobby shop".